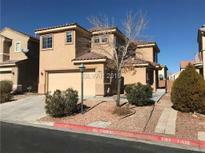 Below you can view all the homes for sale in the Harmony 2 subdivision located in North Las Vegas Nevada. 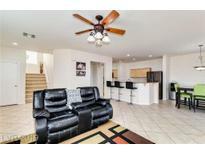 Listings in Harmony 2 are updated daily from data we receive from the Las Vegas multiple listing service. To learn more about any of these homes or to receive custom notifications when a new property is listed for sale in Harmony 2, give us a call at 702-323-5963. ADT will convey with sale of property. MLS#2084241. Vegas Realty. Gated Community with Community Pool, Park and Walking Trail!! Must See!!! ! 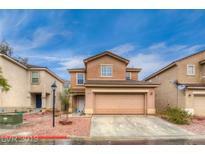 MLS#2070826. TR Realty. Community Pool with SPA and Playground. MLS#2069103. Urban Nest Realty. Huge Dual Masters Both Master Baths With Double Sinks Separate Tub & Shower*gorgeous Custom Plank Flooring No Carpet*new Blinds*new Upgraded Lighting Fixtures Throughout*beautiful Modern Colors Two Tone Paint*raised Panel Doors*kitchen Has Granite Counters & Breakfast Bar*dining Area With Patio Door To Low Maintenance Backyard*coveted Community Amenities Include Pool Park & Playground*please See For Yourself! MLS#2064137. Elite Realty.